A team from Arval recently took part in a day of volunteering, kindly giving their time and effort to Prospect Hospice by helping to sort stock at their central distribution centre in Wroughton. Items are sorted there that have been donated to them to sell in their 17 shops, and it’s one of the areas that has benefited hugely from the contribution of volunteers. Volunteers help to ensure that they can maximise the value of the donations and also generate income from recycling activities rather than sending items to landfill. STAFF at Nationwide have been getting their hands dirty for a good cause as part of their community outreach programme. Just one such project was the external makeover at Bradenstoke Village Hall near Lyneham where a team of willing and eager volunteers from Nationwide put their painting skills to good use. 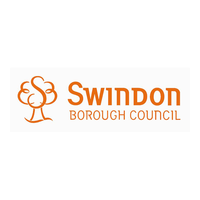 On a cold November day (two days in fact), 7 volunteers from Arval turned up to help local community group, Swindon Walcot and Parks Community Group, clear an area of ground near Buckhurst Park Community Centre to create a wildlife area that would benefit local residents. The volunteers also got stuck in with some physical work and helped to stake trees that had been planted earlier. Eleven volunteers from RWE NPower spent a day at Lydiard Park Academy tidying up, painting and cutting back vegetation. The team used the day as a team-building event as well as helping in the community. We carried out our volunteering day on Wednesday 14th Oct 2015 at Coate Water Park. We were met by Linda, one of the rangers who was very welcoming and talked us through our activities of the day. We were tasked with clearing away large branches which had been cut down or fallen and then creating a dead hedge with them, along the perimeter of the fence which separates the woodland from the golf course. 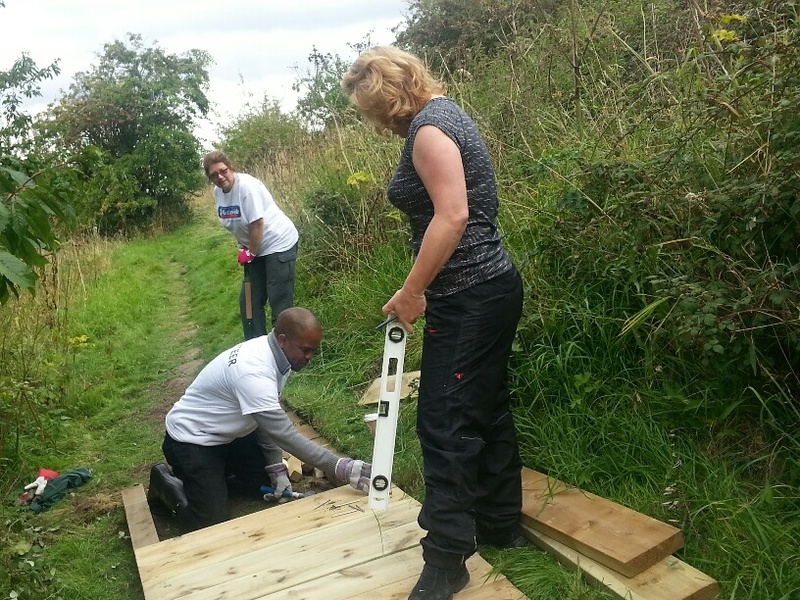 Volunteers from Nationwide’s Compliance and Risk Programme (FC&R Portfolio) got stuck in building a board walk around the side of the hill at Kings Farm Wood, Wroughton is Sept 2015. Supervised by the WWT, who are joint owners of the area linking Clouts Wood and Markham Banks nature reserves, the team cut turf, sawed and hammered nails into wood and made stakes to form the board walk; making a non slip access path for the local community and visitors to the site. Three groups of employee volunteers from Nationwide have been helping Wroughton Youth Adventure Charity tidy up their garden ready for a packed summer of activities. One team cleared the gutters, painted some of the benches and tables, weeded around the house and cleared the wood area from fallen branches. They had a fire all day, and filled an empty wood shed.